As a landscape architect, I am sometimes asked by architects ‘Why do you use Revit?’ And the answer is quite simple: for all of the same reasons that architects and building engineers do. This may seem obvious to anyone familiar with the program and its capabilities, but to the uninitiated this explanation is not sufficient. So to more clearly explain the benefits of using Revit, I created this diagram which outlines seven main points as they relate to several larger, overarching concepts: information, automation, and collaboration. Most of these benefits overlap in various ways and can also be found in other BIM software, so it is worth noting that they are not necessarily unique to Revit. The building blocks of any BIM software are parametric components, which are dynamic elements that can have 2D linework, 3D form, and any additional information. In Revit, these are also referred to as ‘Families’ and can be almost anything, including a title block on a sheet, a plan note on a site plan, and a seat wall in the model. These components are entirely customizable and can be adapted to meet specific project requirements or standards. Parametric modeling is simply creating a model from these parametric components, which allows for more information to be more easily integrated into the model. In Revit, components can have instance parameters, type parameters, or even global parameters, which provide different levels of control. 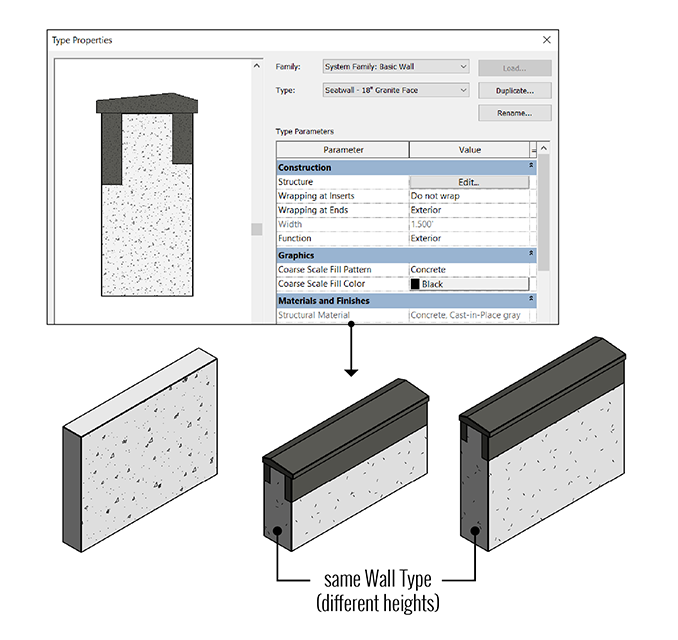 For example, when creating a wall in Revit, the height and length are specific to that individual wall (and are thus instance parameters). The materiality, structure, and details of the wall are type properties, and are the same in all walls of that type. All of these parametric components create the framework for almost all of the benefits of using Revit. The main downside is that the components require more time to initially create. Revit also has very specific rules for how it creates components and allows them to interact, which can be frustrating as a new user. These issues parallel the overall Revit issue of longer implementation, but if you take the time to create and effectively utilize parametric components, the benefits will far outweigh the costs. One of these benefits is the ability to conduct analysis on various components and datasets. Revit’s site analysis tools are largely nonexistent, especially when compared to its structural analysis tools. But with custom components there is always an opportunity for analysis, such as visualizing plant maturation, calculating carbon sequestration, and sun/shade patterns throughout the year. The possibilities for analysis can be further enhanced with other programs, such as Dynamo, which, for example, has the ability to conduct customized slope analysis of Toposurfaces and Floors. And as computational tools improve and become more integrated into the design process, it will be possible to automate more complex analyses, such as calculating stormwater runoff and storage volumes. Another benefit of creating and using parametric components, is that every individual component and its corresponding parameters can be scheduled. In Revit, these schedules can include quantity schedules of various components, material takeoff schedules, note blocks or annotation schedules, and even schedules of views and sheets. These schedules automatically pull the information directly from the components in the model, which not only saves time but also eliminates the possibility of human error. Schedules can also incorporate formulas so that you can calculate values from multiple parameters. But perhaps one of the biggest benefits of using Revit is simply the concept of creating documentation directly from the model. Plans, sections, and elevation views can be generated quickly and automatically using specific templates. And the elements in those views have the capability to be highly detailed and accurate. Placing annotations, such as keynotes and plant tags, also becomes an automated process since they can simply pull information directly from components. Like with schedules, this is a big time saver and reduces human error. In addition, Revit has a unified project environment, which means that the model, views, schedules, and sheets are all in one file. This makes file management relatively simple and efficient when compared with the AutoCAD workflow of working with dozens of .dwgs xreferenced together. And when working with Worksets you can still have multiple people working in the same file. At any time during the design process, during early design, construction documentation, and even construction, changes can be implemented in the model and they will automatically update throughout all views and schedules. Type properties also allow changes to be easily implemented across all components of that type. So for example, if a wall façade changed from granite to limestone, then that change would only need to be made once (within the type properties) and it would update all walls of that type. Or if the height or location of a wall is modified, then any section or elevation of that wall will update to reflect that change. However, when working with more detailed and complex models, making changes can cause a knock-on effect, often affecting adjacent elements. So while Revit reduces redundancies in drafting by automating many processes, it also generally takes a bit more time to create and maintain an accurate model. When compared to other BIM software, a big advantage with using Revit is the ability to coordinate between many disciplines. Since Revit is designed specifically for building projects, it is frequently used by architects, interior designers, structural engineers, and building engineers. In fact, there are three different versions of Revit: Architecture, Structure, and MEP, and so it is not surprising that it is well suited to multi-disciplinary coordination. For landscape architects working on architectural projects, especially with complex landscapes that are highly integrated with a structure or building, the potential benefits are quite substantial. Instead of trying to work with flat .dwg exports, you can coordinate with a full 3D model of the building. This makes coordination easier for everyone, whether it is determining hardscape patterns, plant locations, site furniture, downspouts and other plumbing tie-ins, and countless other elements that should be managed between disciplines. And as Revit and BIM projects are being delivered into construction, finding and reducing conflicts is also becoming part of the process. 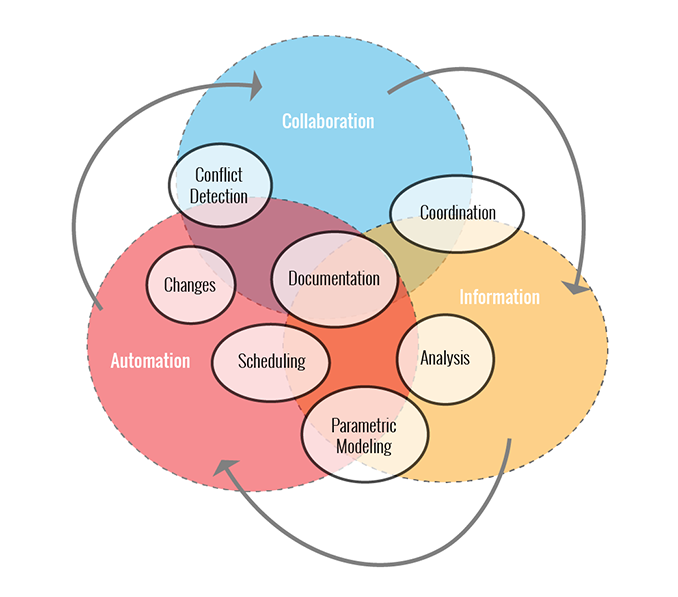 Conflict detection allows you to search for and locate spots where elements are in conflict or interfere with one another. This reduces changes during the construction process, and thus reduces the risk for all parties involved in the project. And even though the Interference Check in Revit is fairly limited, a Revit model can also be exported to Navisworks or Solibri Model Checker for more robust clash detection. The BIM process is quickly becoming the standard in both architecture and construction, with many owners also having their own BIM requirements. And with all of the time and money saving benefits it is hardly surprising. So regardless of the software, whether it is Revit or not, I would encourage all landscape architects to educate themselves and engage with BIM. Know the issues and the benefits so that we can continue to improve the process (and the software) for landscape architecture. Lauren Schmidt is a graduate landscape architect and the author of landarchBIM, a blog that focuses on BIM and design computation in landscape architecture. She is an avid Revit user and has also created an online video training course, Revit Landscape: An Introduction to Revit and Site Modeling. This is an advertorial written by someone who runs training courses in Revit and is an “avid” Revit user. It is not a balanced review, and certainly not objective. This magazine needs proper reviews of all the major software types uses for Landscape Architecture. 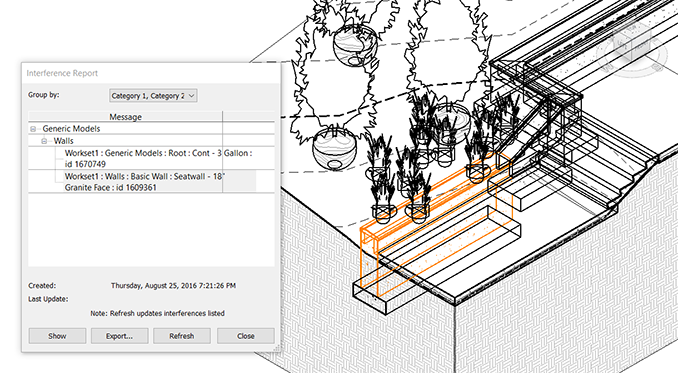 Anyone would know that Revit is one of the less obvious CAD programs for Landscape Architecture. Revit, like Autocad, is trying to squeeze a round plug into a square hole in this profession. They are just well below par for serious landscape architects, who need a program which is BIM certainly, but has an integrated plant database coupled with the best and by far the most outstanding graphics capabilities of any CAD program. As well as one with the best collaborative strengths. I use Vectorworks Landmark. The learning curve is long, meaning you can get really, really deep into the product, but it is not steep, so you can be up and running fairly easily and then get as deep over time as you like. I don’t think you can say that about Revit. It’s better and much more cost effective to maintain as well as being 2D or 3D or both. Flexibility is a key feature and it graphics are so good I can even use it to produce brochures. Let’s have someone write from an impartial point of view.